With warmer days and lighter evenings on the horizon, its hard not to get excited about Spring! Here are a few tips on how to effortlessly uplift your interiors. Orla Kiely Sculpted Stem Towels from John Lewis. Luxurious, fluffy white towels have their place, of course, but a colourful version can add welcome energy to a plain bathroom. Rose pink works beautifully against crisp, white towels, while pattern adds a bit of drama to the room. 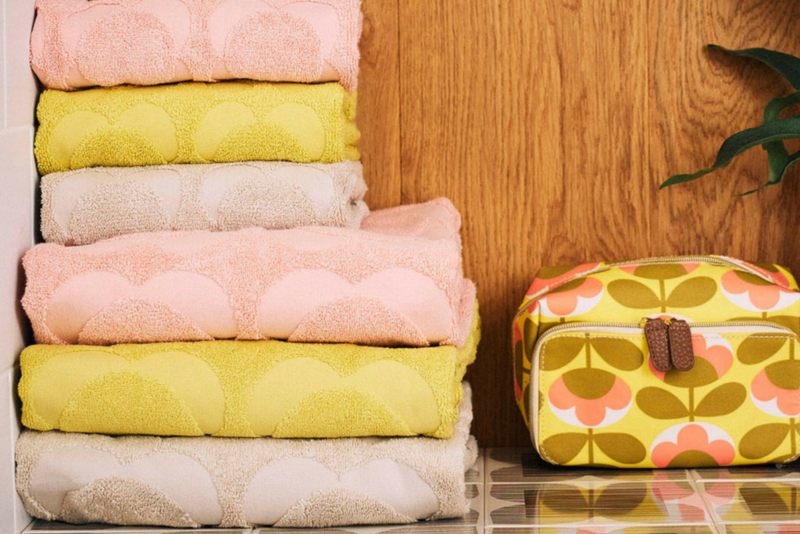 Towels are easy to come-by, however John Lewis have a great selection to choose from to suit any budget. I especially like the textured pattern Orla Kiely Sculpted Stem Towels from £15 each. Creating time to make your bed properly can have a big impact on how you feel, both in the morning and at night. 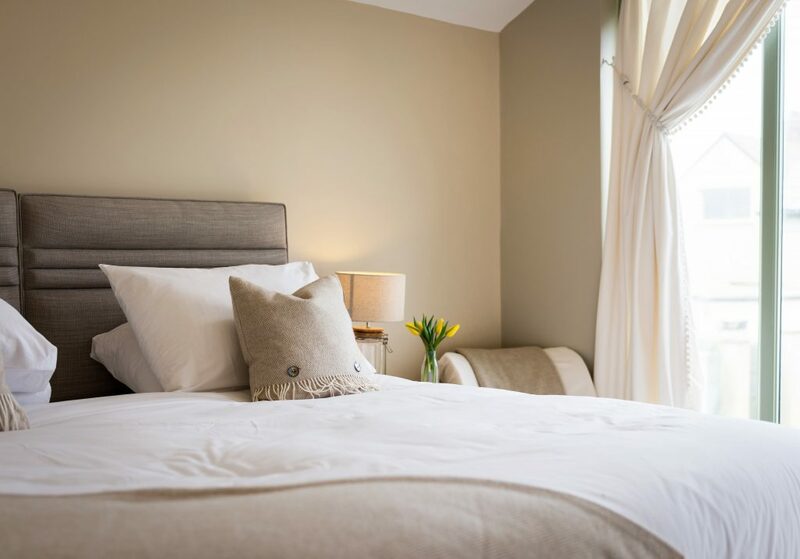 Keep it simple with linen white sheets and mix it up with bold cushions and throws. I love playing with block colour, pretty pinks, mellow yellows and dewy blues work well in bedroom interiors. 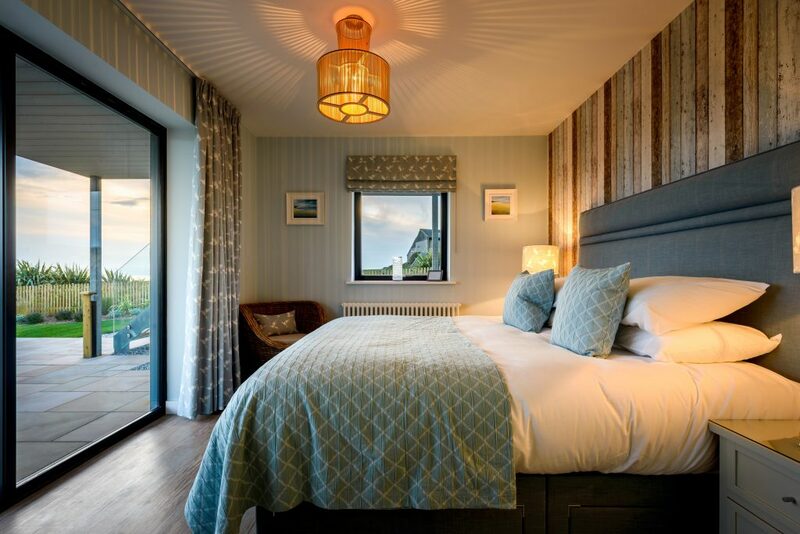 Panorama Beach Retreats holiday let. 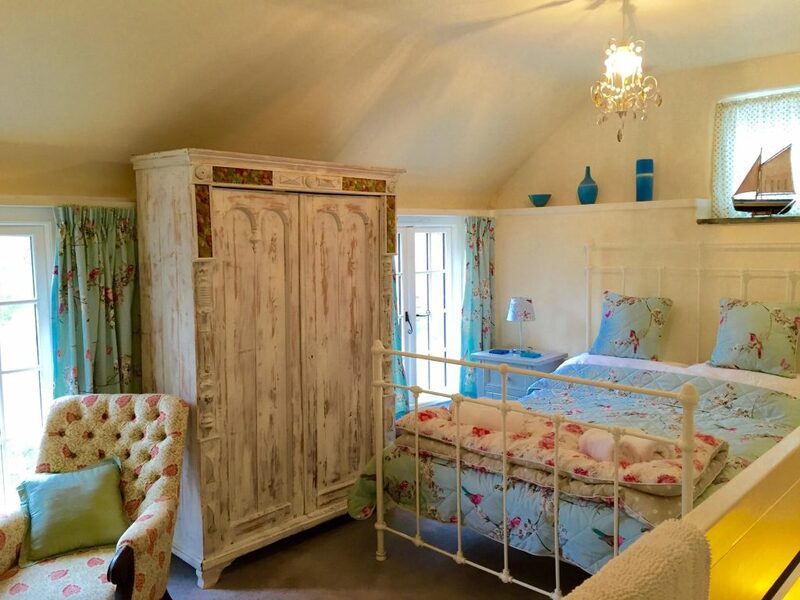 With general wear and tear, after a couple of years, painted walls and cabinet doors need a little TLC… Play with subtle but striking colours, so you can mix and match your soft furnishings and accessories. Farrow & Ball have an extensive colour palette, with soft, pretty colours from Wimborne White, Pink Ground and Cabbage White. Bill’s Barn, Penwartha Cottages holiday let. Bring the great outdoors into your interior space with organic shapes, pattern and colour. Tessellating geometric shapes, as featured in House & Garden early this year and coined the mini honeycomb trend, are making a statement. 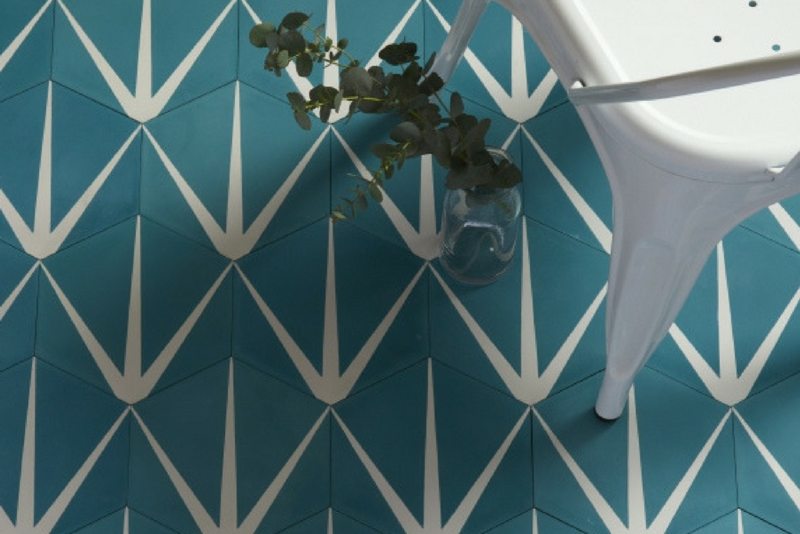 Hexagon pattern tiles are perfect for creating a statement splash back in the kitchen or bathroom. Lily Pad Marine Blue Encaustic Tile from Ca’ Pietra. Floral, bird and leaf motifs are perfect for creating that synergy between interiors and the great outdoors. Create a focal point with blossoming floral curtains or a botanical patterned armchair. Make the design scheme look effortless with fresh whites and Spring-like greens. A bunch of colourful blooms is the quickest way to give any room a lift and reminds you that Spring is in the air. Studies have shown that flowers and plants in the home don’t only brighten your surroundings but they’re good for mental health too.